When I received my acceptance letter from Chicago State University in the Fall of 2016, fulfilling a lifelong goal, I was more nervous about paying for my education than excited to begin working towards my future career. With Navient pushing risky subprime loans for years, and 9 out of 10 highest-risk student loan borrowers not enrolled in affordable repayment plans, our state needs to do more to safeguard the investment that Illinois’ students are making in themselves and in the state’s economy. The state legislature has an opportunity to do just that, next Tuesday to Thursday, during a veto session in which they could overturn Governor Rauner’s veto of SB 1351, a bill designed to expand accountability and transparency in the student loan process. Last year, when my need-based student aid was cut due to the state budget stalemate I was forced to take out an additional student loan to stay in school. My ability to make an informed decision worth thousands of dollars hedged on my understanding of complex options like “subsidized,” “unsubsidized,” and “Parent Plus” loans, each with their own interest rates and repayment schedules. My financial advisor explained my options to ensure that I was informed and confident in my decision. But, I was lucky. Too many students don’t find the guidance they need to truly understand the loan process. In fact, over 13 percent of Chicago State University graduates default on their loans, meaning the loan system is setting them up to live in debt. Students who don’t have access to support and accurate information often fall into predatory loan traps in pursuit of their degrees. Recent lawsuit settlements and research reflects this. In the last year, Wells Fargo was found guilty of failing to provide critical payment information to consumers and other providers have manipulated billing to maximize late payments, ignore grace periods, or overbill students. Additionally, students far too often unknowingly sign up for plans from private lenders or plans designed to fail, relying on the internet to make loan and repayment decisions without knowing better plans are available. Without the support from a trusted advisor I would have agreed to a financially unsound loan assuming it was my only option to stay in school. SB1351 prohibits predatory practices from lenders, increases transparency and accountability, and creates an impartial ombudsman that students can turn to. It’s the least we can do to protect students who are at-risk for predatory lenders, including black students who are more likely than their white peers to have student debt and accumulate an average of $53,000 of debt by the time they complete a four-year degree. For students of color, SB1351’s guarantee of fairer loan practices is critical to our success. I urge the Legislature to overturn Governor Rauner veto of SB 1351 to help Illinois’ students achieve educational success and financial freedom. Marissa Epps was born on the West side but raised on the South side of Chicago. She graduated from Fenger HIgh School at the top of her class and won prom queen. She attended Harold Washington College and received her Associate’s in Arts Degree from Olive Harvey College. 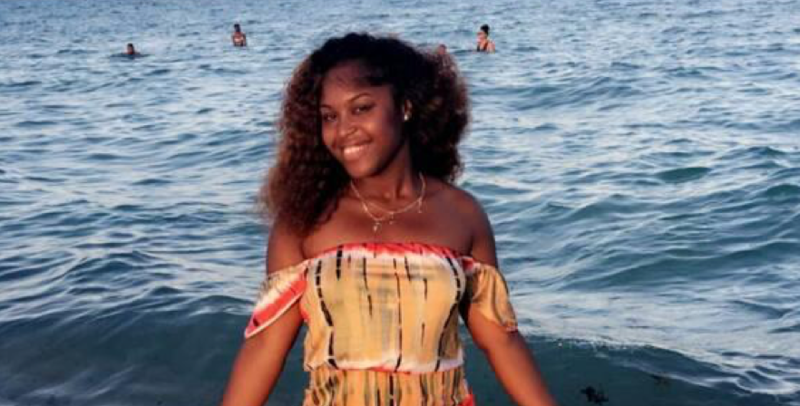 After graduating, she transferred to Chicago State University, where she is a student leader pursuing a dual degree in occupational therapy and psychology. Marissa was initiated in the honors college this past Spring and is a member of Alpha Kappa Alpha Sorority, Incorporated. Ms. Epps received Outstanding and Exceptional student awards and Central Region Scholar. She is a member of YI-MW’s Youth Advisory Board. Her future goals are to open a community outreach center and her own OT practice. Marissa have a strong desire for helping people and making a difference and believes taking action is important when you want to see change!